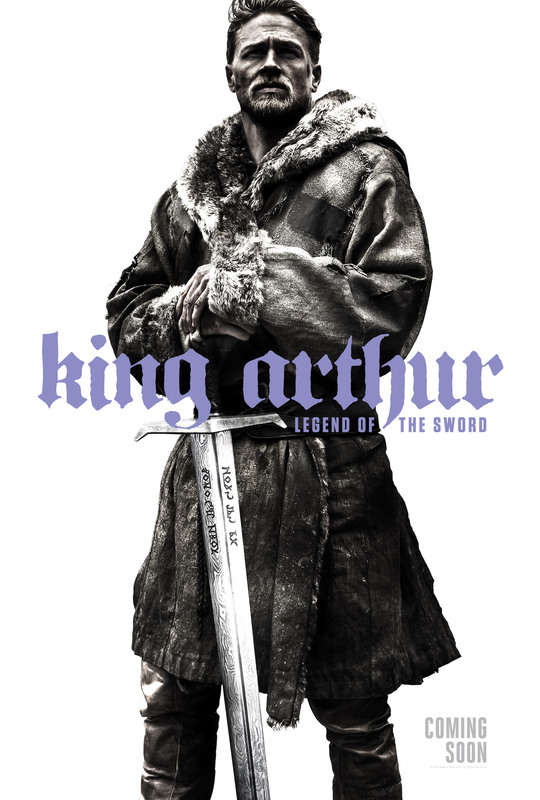 On the eve of tomorrow’s panel presentation, Warner Bros. has lifted the lid on the first poster for King Arthur: Legend of the Sword, Guy Ritchie’s long-gestating redo of the age-old classic that finds Charlie Hunnam in the title role. Clutching to the legendary Excalibur sword, it’s understood Hunnam will be part of the ensemble to feature at tomorrow’s San Diego Comic-Con panel, which is expected to occupy Hall H from 11:30am PT. Bouncing off last week’s coverage coupled with today’s poster reveal, some form of teaser trailer is all but guaranteed, when we expect to lay eyes on an Arthur that is, to put it lightly, a bit rough around the edges. After all, Ritchie offered a similar treatment to the inimitable Sherlock Holmes some years ago, infusing the actioner with rat-a-tat editing and rousing music. 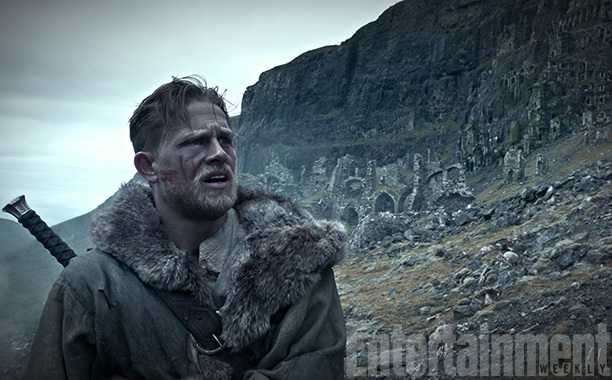 King Arthur represents a different kettle of fish, of course, but the filmmaker did speak about his approach to the source material – Thomas Mallory’s Le Morte d’Arthur, to be specific – only a few days ago. Also starring Astrid Bergès-Frisbey, Djimon Hounsou, Aidan Gillen, Jude Law and Eric Bana, Warner Bros. is expected to shed new light on King Arthur: Legend of the Sword tomorrow, July 23, and we’ll have all the coverage for you right here. It’ll open in theaters on March 24, 2017.